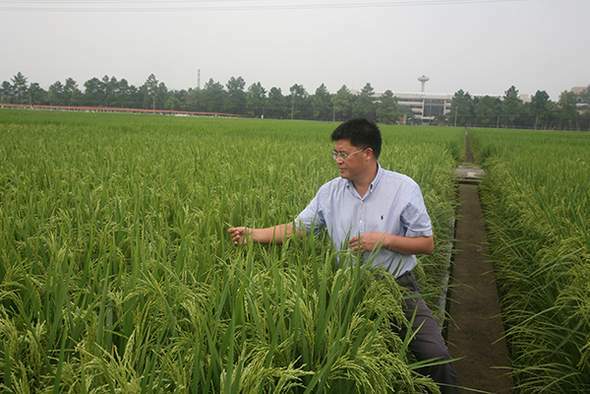 Recent events around agricultural research and innovation, such as the Global Conference on Agricultural Research for Development (GCARD3) held in April 2016 at Johannesburg, South Africa and the 5th Global Forum of Leaders in Agricultural Science and Technology (GLAST-2016) held at Lingshui, Hainan, China in December 2016, have focused on re-aligning research needs and priorities with countries’ own development needs and national processes as well as with the Sustainable Development Goals (SDGs). Improving agricultural products, commodities trade and market chains especially for food safety and quality. Sustainability and resilience of agri-food systems with meeting environmental concerns. Sustaining and protecting cultural heritage. The events also indicate that agriculture-related research and innovation systems are intensively being challenged by the need (1) for more rapid agricultural innovation in increasingly more knowledge-intensive agri-food systems driven by the emergence of highly competitive, market-oriented agricultural production and (2) to adapt to and mitigate the effects of climate change, by taking into consideration the increasing cost of inputs and resources, rural to urban migration and more. The events also show that Industry 4.0 or the Fourth Industrial Revolution, with its emphasis on automation and data in production, is also influencing agricultural research and innovation in solving challenges with its direction shifting to improving efficiencies and increasing sustainability and resilience in entire agri-food systems as well as their associated value addition chains from input to waste management. A very noticeable change is that research and innovation in agriculture is being driven by advances in biotechnology, nanotechnology, information and communications technologies (ICT), geo-spatial technologies, material technologies along with their multi and cross-disciplinary amalgams. Small, localized innovative technology businesses are emerging as new channels of technology generation and provision along with new forms of rural advisory services brought about by the widespread access to new ICT. Conventional, organized, public agricultural research systems are caught between serving the needs of high-input, resource and technology intensive, market-oriented, intensively-competitive agriculture and localized-input, sustainable, agro-ecologic agriculture. Organized public sector agricultural research is facing severe investment and capacities crises, and is being gradually replaced through new investments in agricultural technology generation by private and community sector investments, such as through multinational corporations, banks and other financial establishments, venture capitalists, social entrepreneurs and crowd financing by communities. Universities and public research systems are increasingly being focused on basic and proto-applied scientific research that leads to applied science and innovation in agriculture by the private and community sectors. Agribusiness, not only in commodities and products but also technology and agri-services, is emerging as a sunrise economic sector in many countries. With increasingly global market driven, highly competitive agri-food chains emerging, the consumer – many a times at a distance from the producer – is a becoming the key decider of the directions of agricultural and farming systems. The farmer/producer is rendered a mere cog in terms of farming decisions in this sector. Similar to organized, market-driven agri-food systems, supermarkets and multinational restaurant chains are emerging as key decision makers in the use of agricultural technologies. They use a wide variety of instruments from investment to actual technology and extension provision to influence the use of technologies in agriculture. As a counter movement, alternate urban-rural marketing structures, such as farmers’ markets, producer companies and cooperatives, online direct sales by producers and others, are evolving as marketing structures especially for environmentally-friendly produced products. As a result of this paradigm shift, there is an emerging need for new avenues and forms of agricultural research in addition to the conventional avenues of public and private sector research, technology generation and dissemination for whole agri-food food and value chains. New platforms of agricultural innovation, largely community-driven through the democratization of science and technology access as well as mass innovation, are emerging in parallel to conventional public and private sector platforms due to access to information from social networks driven by new ICT, such as broad-band Internet and cellular connectivity. Volunteerism and innovation, through the collective actions of inclusive multi-sectoral agricultural communities made up of farmers and their organizations, small businesses and entrepreneurs, civil society organisations (CSOs) etc., is on the rise and the actors are not only champions of agro-ecological farming practices but also prominent innovators in this area of agricultural research. The renewed GFAR programs and governance structure aim to meet the needs in supporting the paradigm shift as well as new challenges and directions of agricultural research, and innovation systems through its emphasis on enabling the collective actions of inclusive, multi-sectoral agricultural community-driven partnerships. This blog post was originally published by the GFAR website.